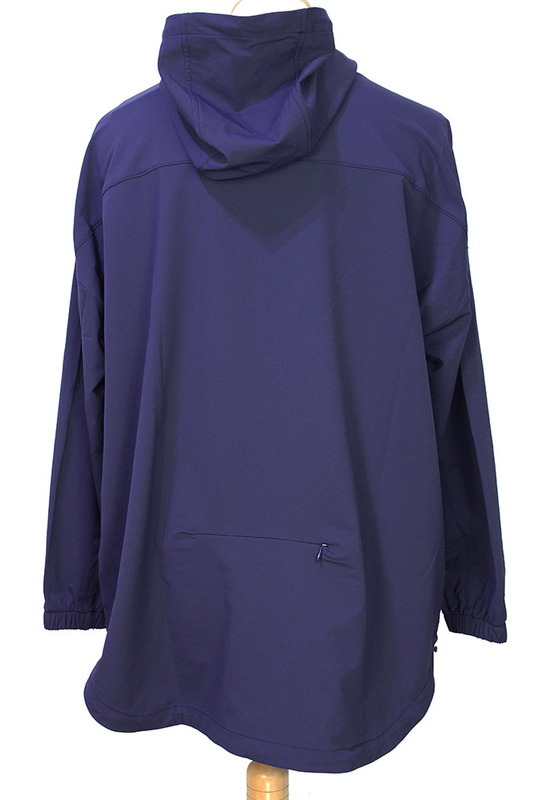 The Lost Explorer blue, hooded, pull-over poncho in stretch fabric. Shaped hood with inside drawstring fastening with locks. 1 right chest pocket with zip fastening. Curved hem with drawstring pulls and fasteners. Zip pocket at lower left rear. Elasticated cuffs. A really great, well thought through piece of clothing, practical and very stylish. Made in the USA.